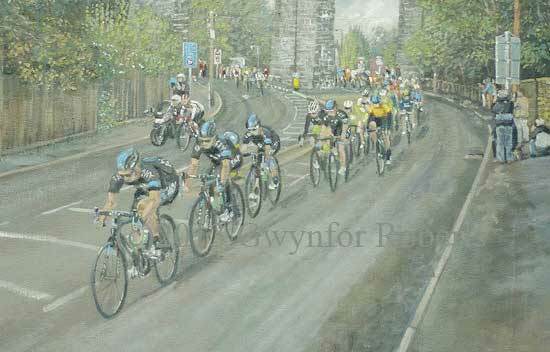 Paintings of the 2012 Tour of Britain cycle race. 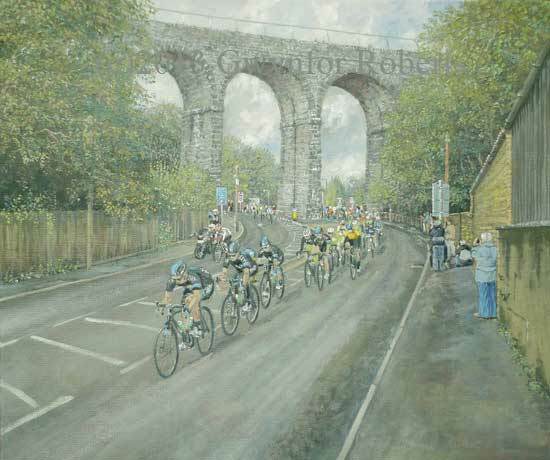 This oil painting shows the 2013 Peloton as they cycle through the viaduct at Hengoed and will take the old road to Llanbradach and to the finish at Caerphilly. The Sky team are seen leading the peloton as they chase the three leading cyclists.